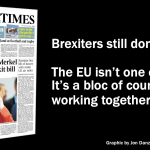 It’s becoming increasingly obvious that fake news in some of Britain’s leading newspapers helped to cause Brexit. 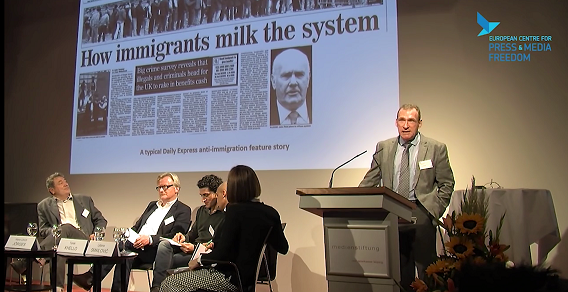 Every day newspapers such as the Daily Mail and Daily Express print articles that promote hatred of migrants and the EU generally. ‘Too many EU migrants’ was cited as one of the main reasons people voted for Leave in last year’s referendum. Yesterday Prime Minister, Theresa May, gave a speech at the Lord Mayor’s banquet in London, accusing Russia of using fake news to ‘sow discord in the West’. That may be true, but Mrs May should also look closer to home for the impact of fake news. Last week, Mrs May attended a party to honour Paul Dacre’s 25th year as editor of the Daily Mail, the newspaper that has probably done more than any other to spread hatred of migrants and of the EU through misleading news. Also yesterday, the European Commission announced that it is tackling fake news as part of a wider effort to protect democracy across Europe. “The freedom to receive and impart information and the pluralism of the media are enshrined in the EU’s Charter of Fundamental Rights. Ms Gabriel announced the Commission’s plans to set up a ‘High-Level Expert Group’ representing academics, online platforms, news media and civil society organisations to look into the problem of fake news. There will also be wide level consultations with the public about the impact of fake news to conclude in February next year. Most internet traffic is spread through Google, Facebook, YouTube, Instagram and Twitter. The Commissioner explained that fake news is easily disseminated with little effort via these US-owned platforms. She added that people can purchase 20,000 comments for €5,000 and another €2,600 will buy up to 300,000 social media followers. “This type of manipulation is possible because there is an offer to provide these services,” she said. Regulators are facing a difficult debate on balancing fake news and fundamental rights such as the freedom of expression. The Commission said that citizens, social media platforms, news organisations, researchers and public authorities are all invited to share their views in the public consultation until mid-February. The Commission added that it will, “gather opinions on what actions could be taken at EU level to give citizens effective tools to identify reliable and verified information and adapt to the challenges of the digital age. 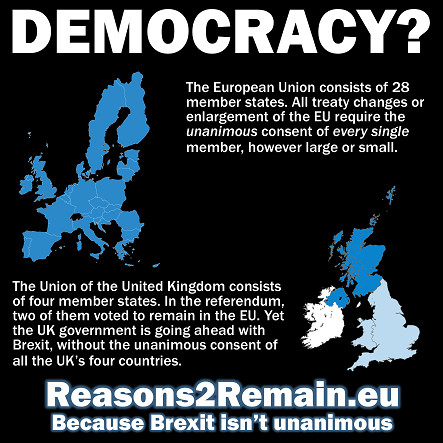 • My campaign, Reasons2Remain, is profoundly concerned about fake news being propagated by some of our leading newspapers to promote Brexit, in addition to the problem of social media being used to spread misinformation. Jon Danzig giving his speech at an international media conference about newspaper lies. 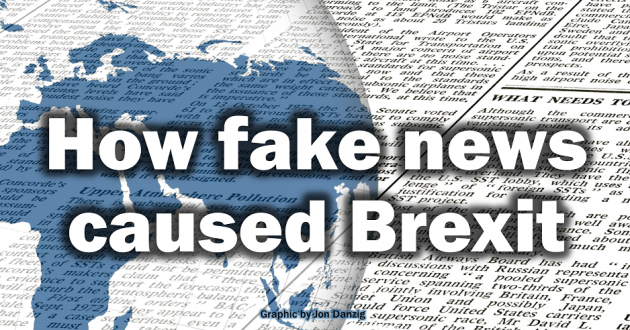 ► Watch my 14-minute video, ‘How fake news caused Brexit’. 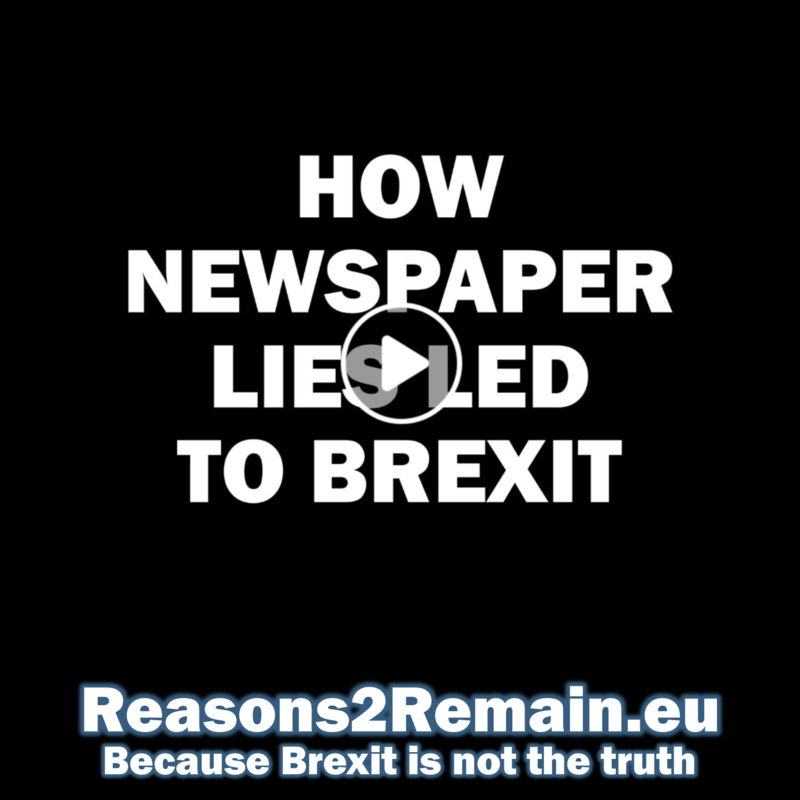 I shall be submitting this film and other evidence to the European Commission’s Public Consultation on Fake News. • Join and share the discussion about this article on Facebook. 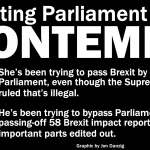 This entry was posted in Current Affairs, Democracy & Citizenship, Economics & Trade, Media & Communications, Politics & Public Policy, Publications & Events, The EU and tagged brexit, Daily Express, Daily Mail, EU referendum, European Commission, European Union, fake news, IPSO, Katie Hopkins, migrants, Press Complaints Commission, refugees. Bookmark the permalink. 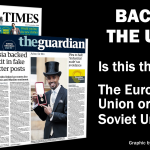 Next: European Union or a new Soviet Union?